It's been a while since all the Share the Love posts went crazy and today, i'm sharing the love with some fellow UK bloggers and others. These are some of my fave manis from them from this week! :), I feel like they need more recognition than they get! 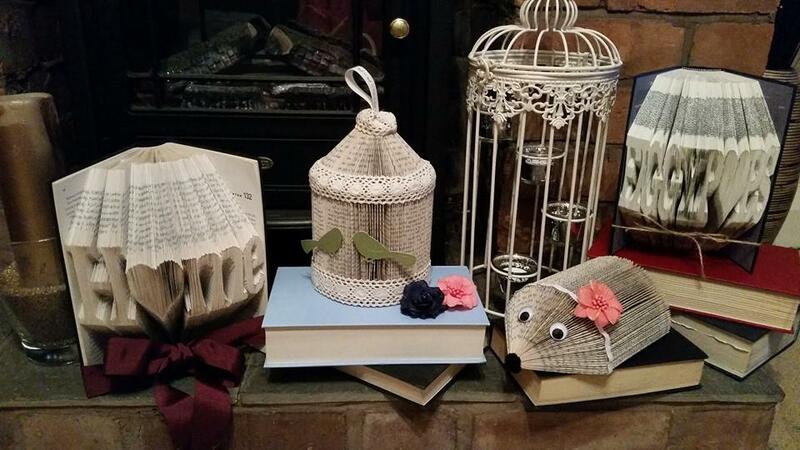 Lisa at FiggyPops Crafts - My cousin has started to create amazing art with old books, I love the unique craft items and the effort that goes into them. She made me one for my 21st birthday, and I love it! Jenni at Nail Art Novice - The art that Jenni creates on her nails is lovely and adorable, I love the fact that she continues to grow in her abilities and talent! 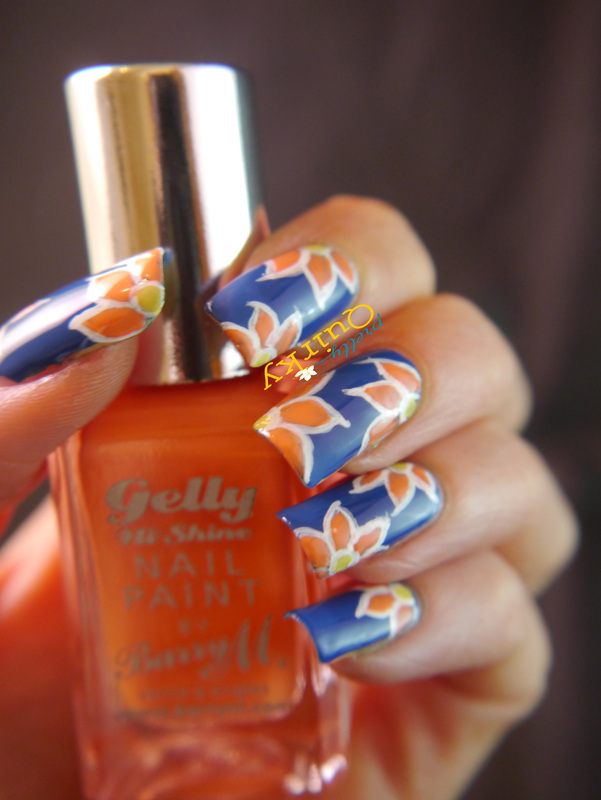 Vicky at Vicky Loves Nails - I love, love, love Vicky's nail art posts! She paints so neatly and flawlessly, looking back over her posts again, has reminded me how great her work is. Tracey at Bite No More - She's the queen of water marbling, but she's great at other nail techniques too. I mean, look how gorgeous these freehand flowers are! Morven at Pretty Quirky - There's a lot to say about Morven's blog and her posts, but I'm going to keep it simple. 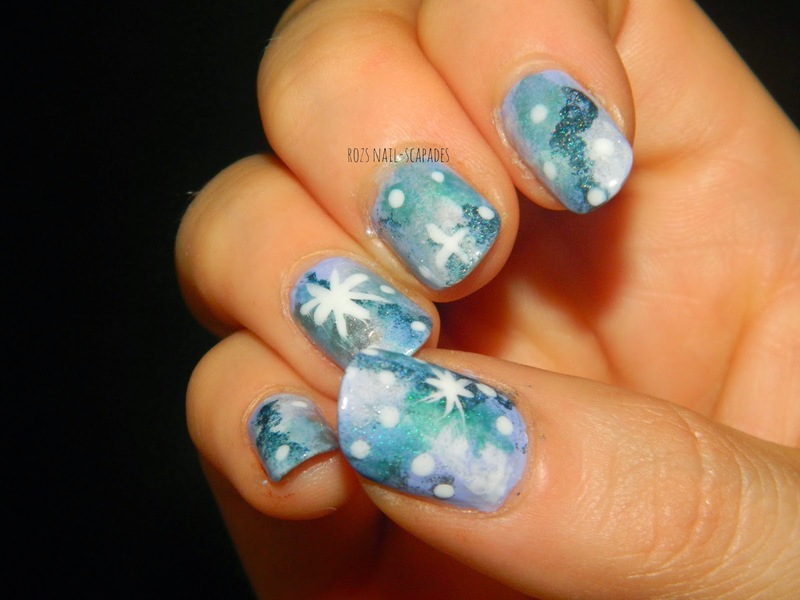 Her nail art is gorgeous and amazing, she's great at freehand and very inspiring. Her swatches are lovely. 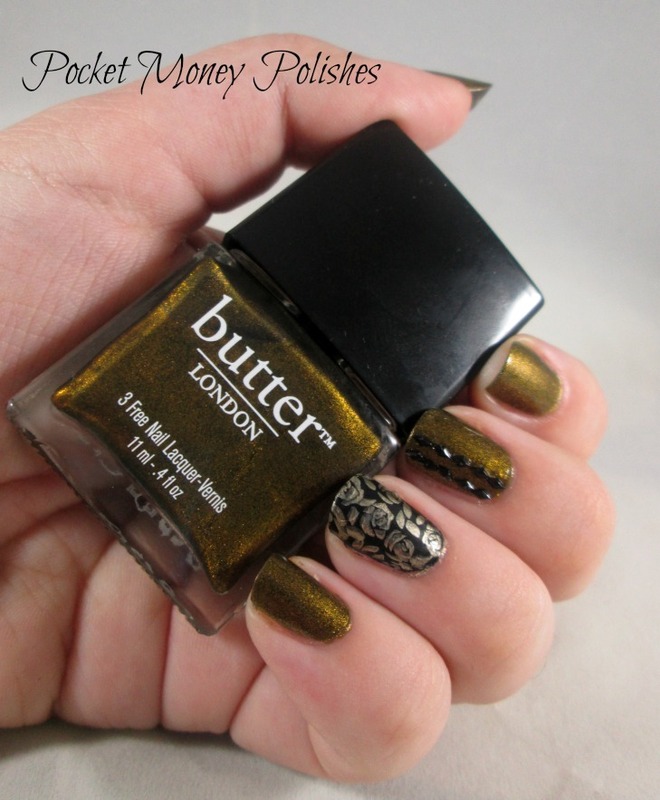 Charlie at Pocket Money Polishes - I love the diversity in Charlie's blog, there are often segments and posts on other things which I love to read too. Her stamping is amazing and her nails are lovely, I find them to be more unique-she'll do a mani and they won't all be the same pattern, but they really go (if you get me?, you'll just have to check out her blog). Enigmatic Rambles - As with Charlie's blog, I love the diversity in Enigmatic Rambles blog-I love the fact that they include makeup and other things as well as nail related posts, it's great to see other types of great products that are available! 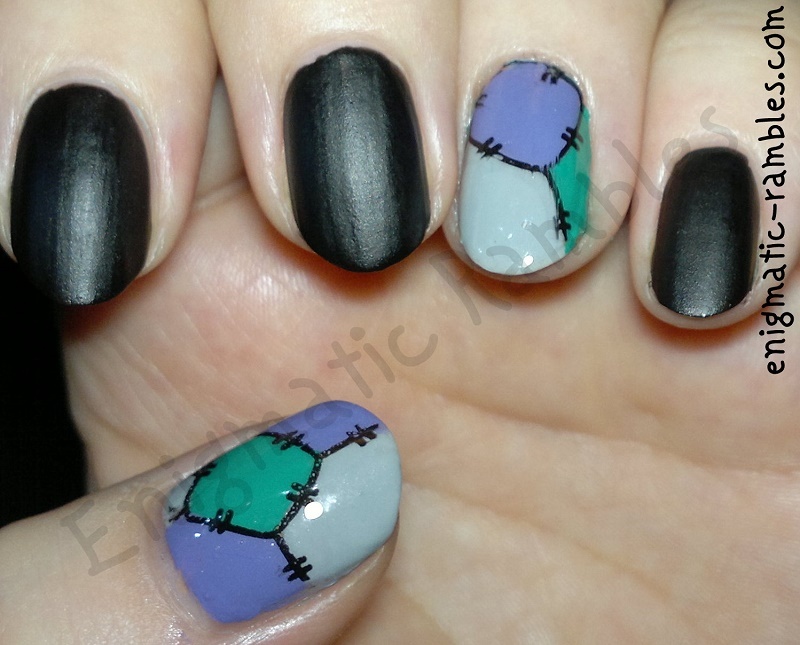 Roz at Roz's Nail-Scapades - I've literally just come across Roz's blog, but I really like it! I love the colour combinations she chooses to create nail art, making them more unique and I love that she includes older polishes (which may have ordinarily been forgotten) in her posts. 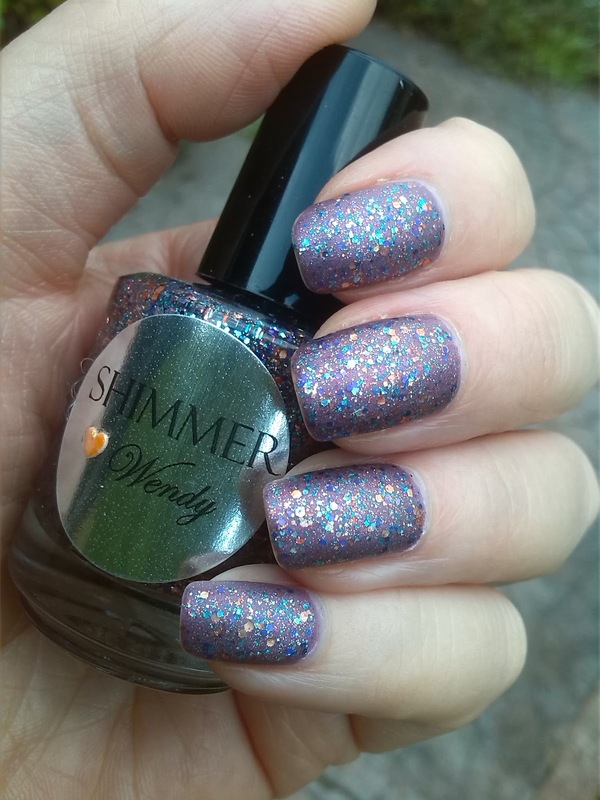 Simona at Light Your Nails - The main thing I love about Simona's blog is that it's bilingual, allowing for a wider audience and more inclusiveness. I've recently come across her blog and really like it, I love her photos and the art that she creates! Her nail shape is amazing. Wendy at Wendy's Delights - I love the reviews that Wendy posts, she reviews products that ordinarily, I wouldn't pay much mind to, but she makes them look great. I mean look at the gradient and art she created with the shell embellishments below. I've also been looking back over her blog, and realised how good her stamping is-i'm jealous! Elanor at Elanor's Nails - I really like Elanor's blog, I love the diversity in the posts, the colours, materials and other blog posts are great. 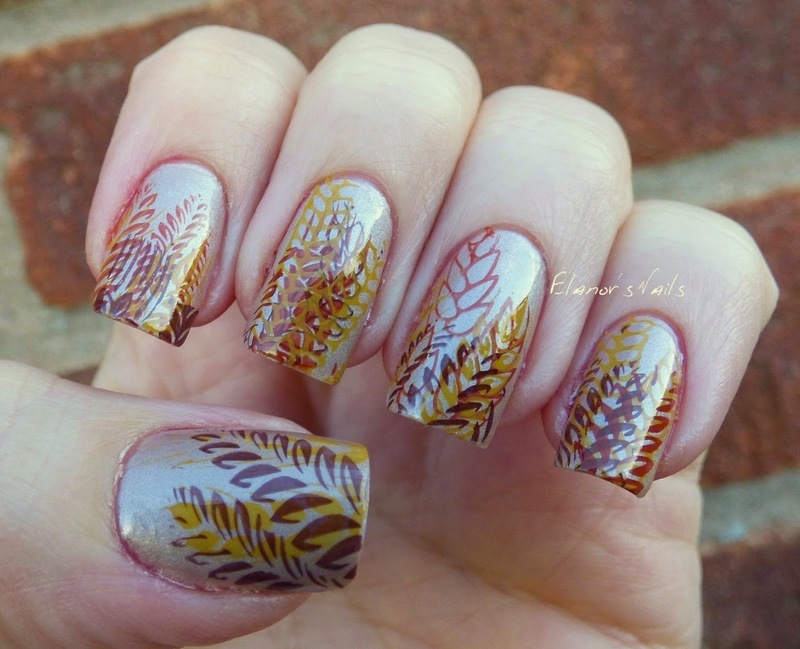 I love her stamping and nail art, I mean look at the colours used in this autumnal stamping, and how great it looks! Anna at Anna Bean's Nails - This lovely lady is one of my favourite bloggers, ever! She needs more recognition, I absolutely adore all of her swatches and nail art posts! Anna makes me need/want every polish that she swatches, whether I would normally want it or even use it, her blog is quite lethal in the respect. 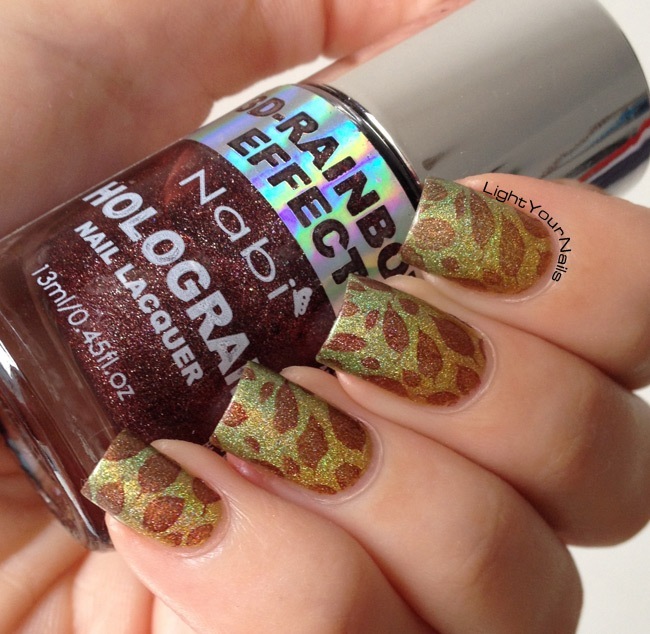 Her application and stamping is flawless! Cath at Nail the Day - Squeep, I like the darker colours that Cath often uses on her blog! I personally stick to lighter ones, so it's a lovely change to see! Her swatches are lovely and so neat, and I love that she often posts about non-nail related products! Grace at Addicted to Nails... Confessions of a Polishaholic - I've been going back through Grace's blog and found that she's a colourful person-I love colourful people! I don't deal with dull colours/shades, so colourful people are a welcome escape. Her latest mani, shows a great colour combination, that personally I would never have thought to put together, but they go well and look great! 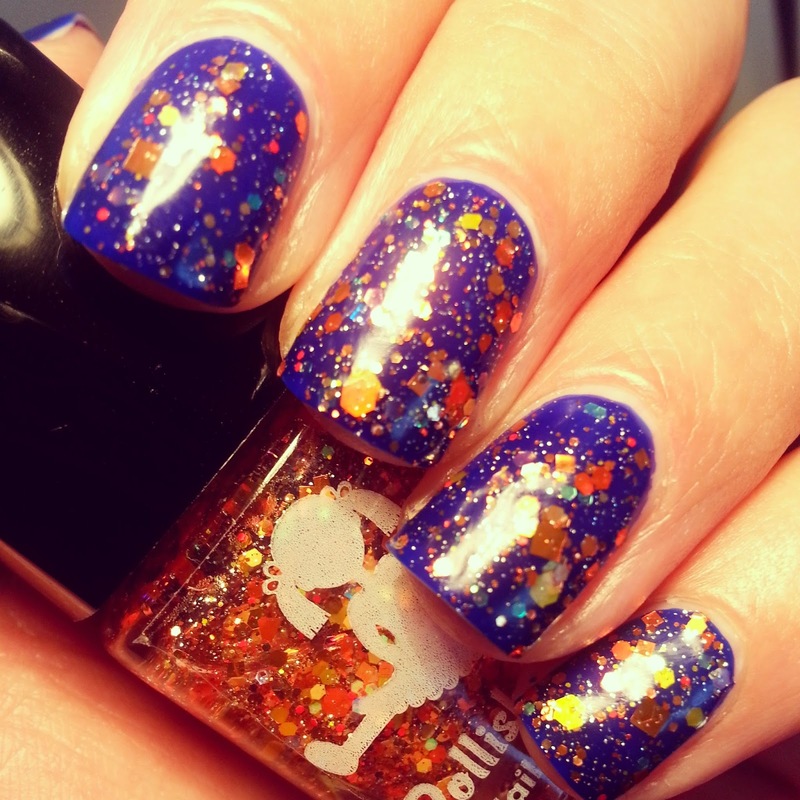 Emily at Nails xo - Another UK blogger, Emily is great at swatching and nail art. I love the combinations and effectiveness of her manis. She is able to create great manis with all different types of products and techniques, resulting in a diverse nail blog. Georgina at George's Art and Nails - Not only does Georgina blog about nails and nail art, she also reviews her birchboxes and posts about crafts that she has made. I like the different types of posts that don't just focus on nails. I love seeing other things, it makes a change and her craft items are inspiring. One of the things she has made is a binder for nail polish swatches, which I find a great way of documenting polishes owned! Cazzy at Special Girl Nails - I always love Cazzy's manis, her photos are amazing with the right lighting, and her swatches and nail art are always on point and flawless! Sarah at Penny Pinching Polish - I love the amount of stamping and different nail arts that Sarah does, she has a really good creative imagination resulting in some lovely manis! Debbie at Knitty Nails - Debbie often matches are manis with her knitwear, which I find to be unique and adorable! I really like that she takes her nail photos outside, giving better lighting and more accurate colour representations in her photographs! Emma at Imagination in Colour - I've been following Emma's blog for a long long time, checking it often, even before I started a blog and really knew what blogging entailed. I always checked for new swatches and art in order to become inspired. I think it's safe to say that I love her swatches and her nail art! Please check out their blogs and pages! If you have a blog, facebook page, youtube, etc. that you think I should check out, let me know in the comments below!